Dubai: Emirates has started implementing enhanced security measures involving flights to and from select destinations, and passengers’ carry-on bags will now be subject to additional screening. The airline announced on Sunday that as part of the updated security guidelines, new rules are in effect for hand luggage on planes from or via Australia and New Zealand or from, via or to the United States. 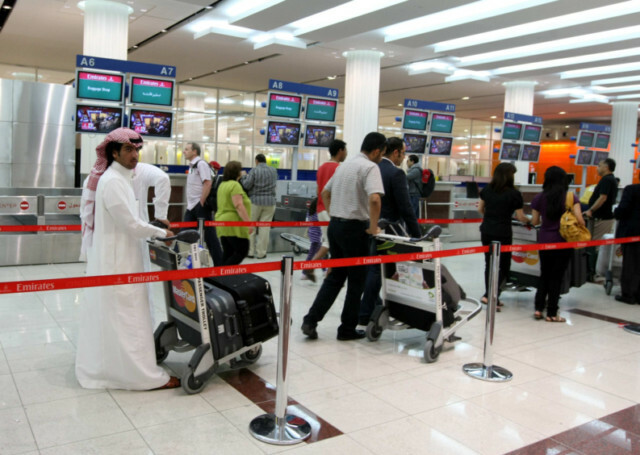 Powdered goods -- which can be flour, coffee, spices, powdered milk or cosmetics -- that are placed in containers equal to or more than 350 ml/grams will now go through tighter screening and may be confiscated in Dubai or other airports. The tighter screening on bags took effect on June 30, 2018. The move is in line with the new security guidelines rolled out by the United States Transport Security Administration (TSA), the Australian Government’s Department of Home Affairs and the Civil Aviation Authority of New Zealand. “Emirates can confirm that all flights to, through or from the USA, as well as from or through Australia and New Zealand, will be subject to further enhanced security screening measures starting 30 June 2018," a spokesperson for Emirates told Gulf News. Under the new directive, powdered substances in containers equal to or exceeding 350 ml/grams have to be checked in and will not be allowed in carry-on belongings or cabin baggage. These items will be seized from passengers at the airports in the UAE, Italy and Greece. "These items will be confiscated at Dubai (DXB) as well as Milan (MXP) and Athens (ATH), depending on the last point of departure. Powders under 350 ml/grams may be subject to additional screening," the airline said. To avoid delays, passengers are advised to place powdered goods in their checked bags. Who are exempt from new rules? Passengers carrying baby formula, prescription medicines and human ashes are not covered by the new rules. Powder-like substances bought at the duty free shops are permitted but they should be placed in “sealed tamper evident bags” and the passenger must show a proof of purchase. Whether you’re flying with Emirates or any other airline, bear in mind that new rules governing smart luggage in the United States have been changed since January 2018. A number of airlines, especially in the United States, have banned smart bags from the hold unless the lithium battery can be removed. Smart bags use lithium batteries to run GPS tracking systems, phone chargers and electronic locks, which have been linked to fires on planes. Passengers can carry the bag into the cabin if it’s small and the battery can be switched off. The UK government will allow flyers to carry baby formula and cow’s milk in the cabin bag but their baby must be present. The rule also applies to baby’s sterilized water, soya milk and baby food.